At the end of March 2016, there were 5,468 homes on the market (up 6.2% from March 2015). 6,083 homes were under contract at the end of March 2016 (down 7.8% from March 2015). There were 4,111 homes sold in March 2016 (down 11.0% from March 2015). It took on average 31 days for a home to go under contract in March 2016 (down 6.1% from March 2015). 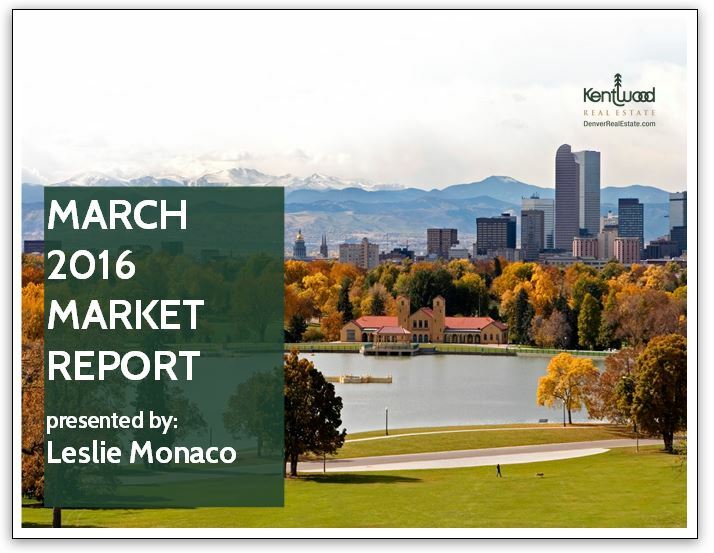 The average sold price in March 2016 was $387,547 (up 9.3% from March 2015). 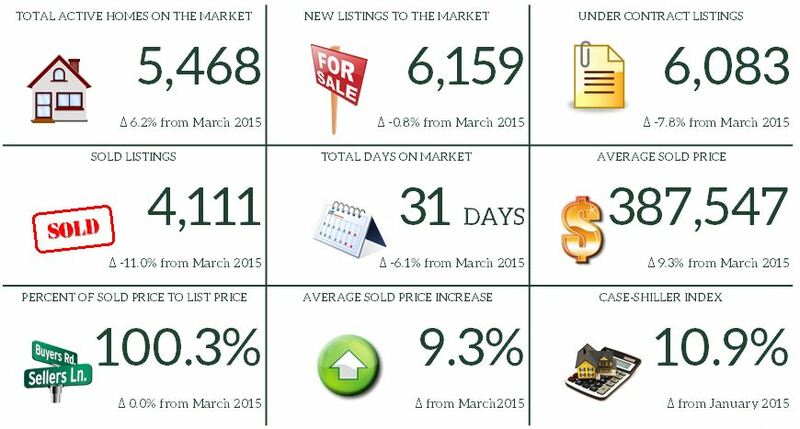 Finally, the average percent of sold price to list price in March 2016 was 100.3% (no change from March 2015).